If you ask most photographers why they are photographers they often say because they love catching that moment in time, freezing an image that when viewed evokes emotion and causes a reaction, good or bad. Having someone see one of my photos and having them react to it is the biggest compliment I can get; it means I did my job as a photographer. Inspiration is often the key to getting a great shot. I'm always pushing to take an image to the next level and my inspiration comes in all forms. 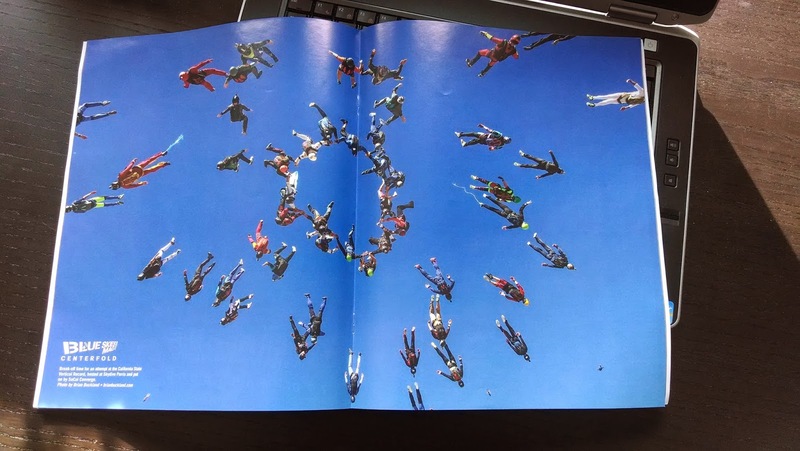 I've seen many other photographer's work in the skydiving industry and aspire to be on the same level one day. I'm still working on it, but I know with hard work I can get there. Some of those photographers have been at it for decades longer than I have and some of them only started a few years ago. 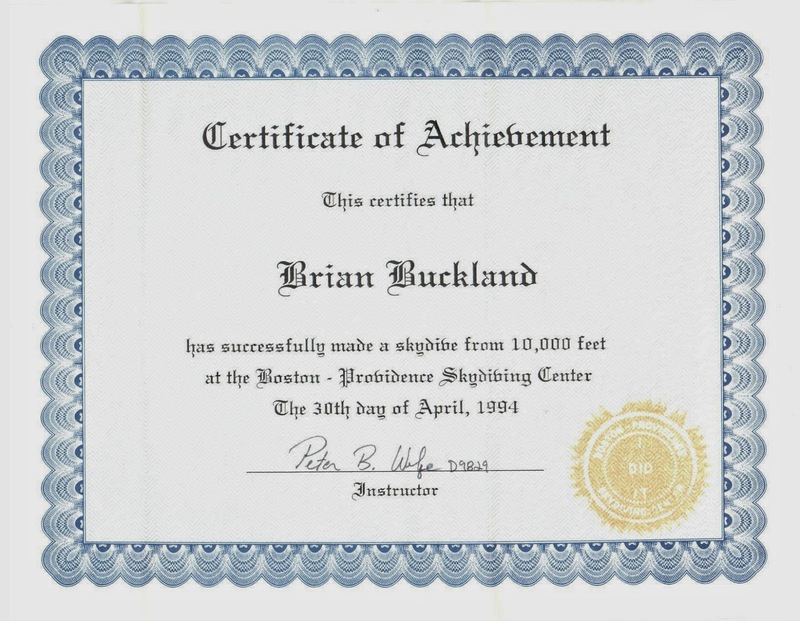 I've also been inspired over the years by sources outside of skydiving. 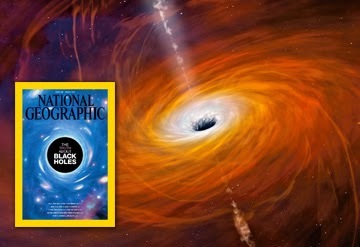 One of those sources that has inspired several thousands of photographers around the world is National Geographic. The magazine has some of the most consistently amazing photos I've ever seen. As a kid I remember going to my grandparent's house and flipping through one of their old Nat Geo's from the loaded bookshelf and just being in awe of what the pages held. So I guess from a young age, Nat Geo helped spur my love of photography. But beyond just the love, it feeds the desire to create and capture images like those held in National Geographic. It is because of this respect for that magazine that today I am truly honored and humbled. I've been shooting in freefall for well over a decade and today is the day that I have been fortunate enough to have one of my photographs find it's way to the pages of National Geographic. The photograph will be featured in their Visions of Earth series that selects three photos each month for double page spreads in the magazine. My shot that was selected was from mid 2012 during the 138-Way Vertical World Record Skydive, near sunset, over Skydive Chicago in Ottawa, IL. Not only am I honored to have my image in the magazine with the iconic yellow boarder, knowing it will be seen by thousands of people around the world, but I'm also humbled to be sharing the pages with so many great photographers that still inspire me to this day. I only hope that somewhere, someone sees my photo and finds the same inspiration from it that I have discovered so many times over the years. 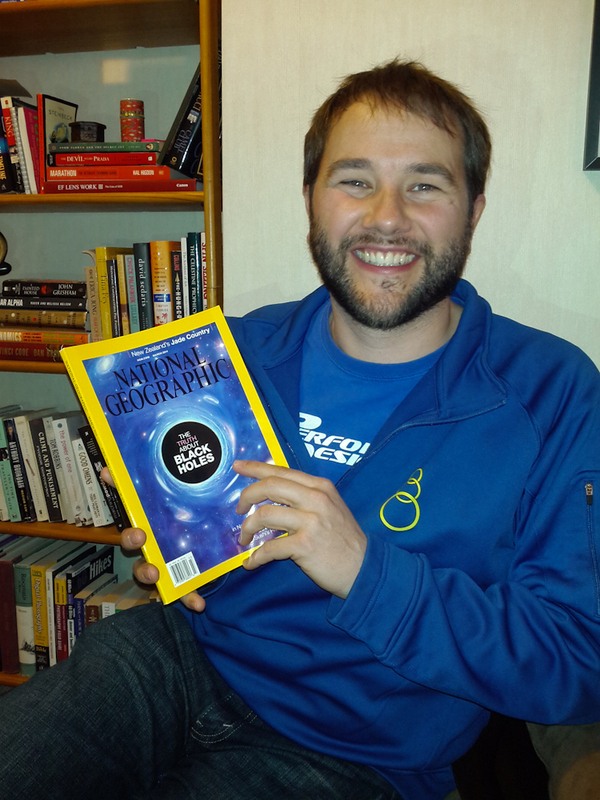 With that, please seek out a copy of the March, 2014 issue of National Geographic and enjoy. Also take a peak at my gallery for the original image here. Just doing a little light reading at work today. Thank you Blue Skies for a fantastic centerfold!